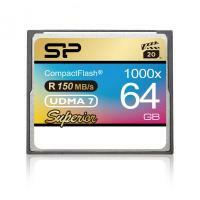 SP Superior CF 1000X is VPG-20 supported, which guarantees the video capture rate at up to 20 MB per second. 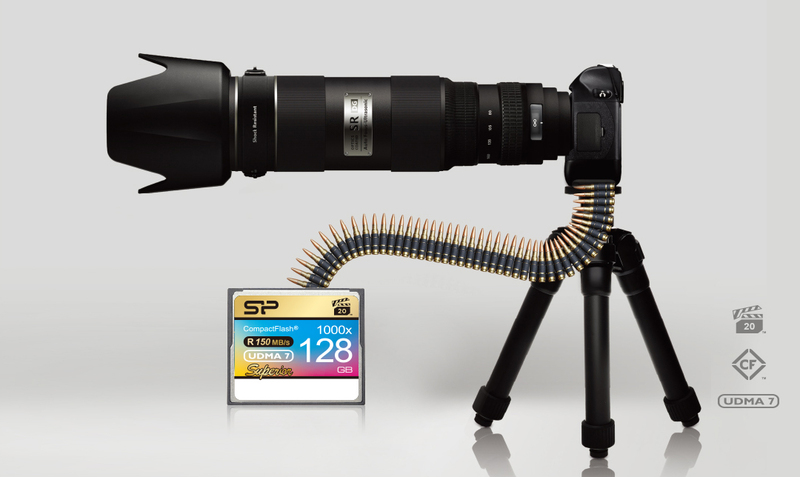 Operable in Ultra DMA mode 7, CF 1000X’s performance can be boosted at up to 150 MB per second*, perfectly built for professional enthusiasts to indulge in continuous shooting experience. 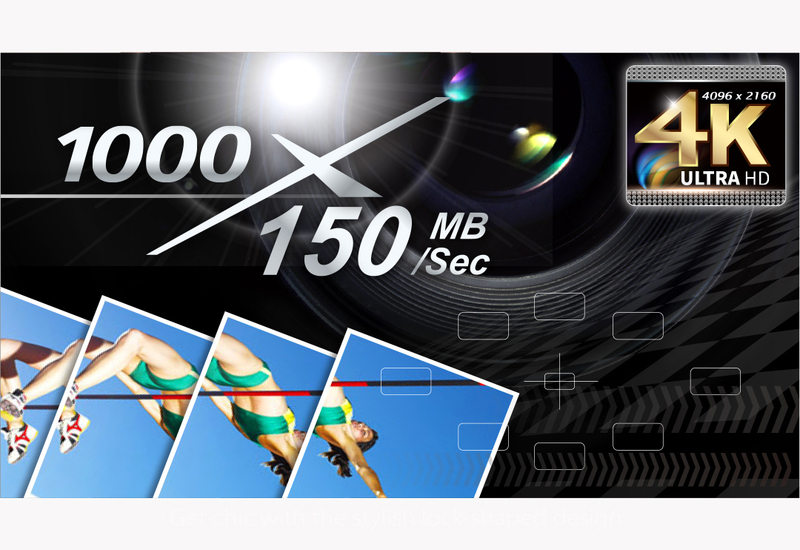 SP Superior CF 1000X provides exceptional transfer rate reaching up to 150 MB per second, satisfying professional photographers’ need in storing more high-quality images, 3D or full HD videos in just one single memory card. 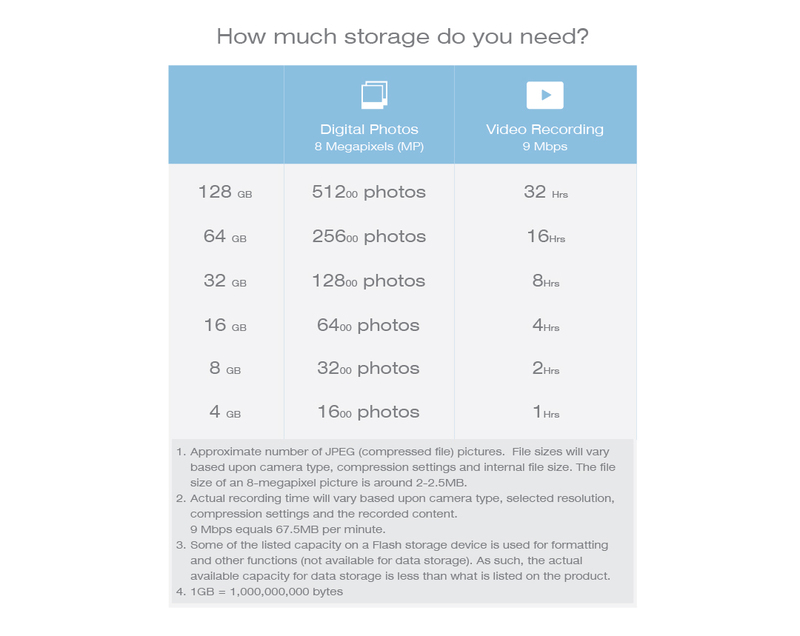 With multiple choices of capacity, photographers can be worried free from changing another CF card in the middle of shooting frames and images. 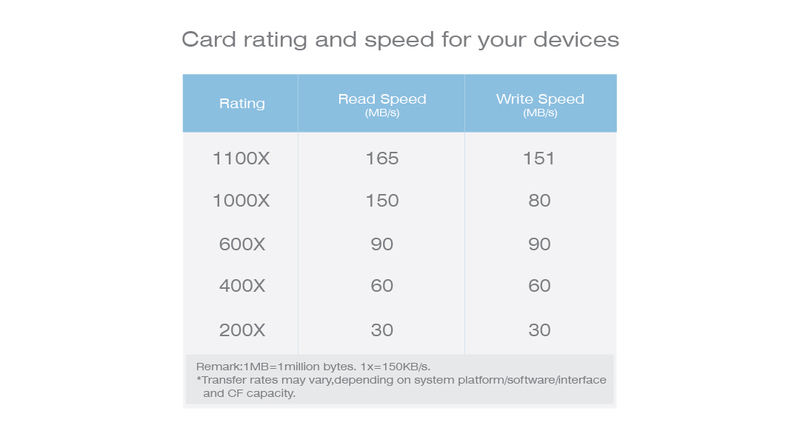 Compliant with the Video Performance Guarantee (VPG-20), the Superior CF 1000X enables cinema-quality video capture at a minimum sustained write speed of 20MB/s for 4K and Full HD video recording.